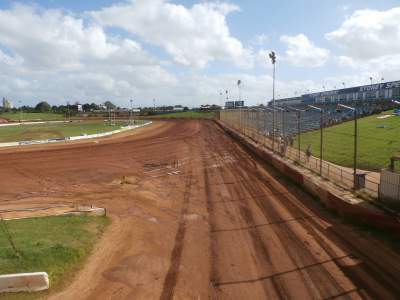 Location - The track is located in Parramatta and is handy to numerous transport options. The motorway is just behind turn 2 and Parramatta Rd practically goes right past the track. If you are using trains alight at the Clyde Station, not Parramatta. The walk from the station is around 500 metres past a bunch of car wreckers and across Parramatta Rd. When Percy attended meetings finished at a reasonable hour so catching a train home was no problem at all. Parking - There is some parking available behind the main straight but it doesn't look overly voluminous for the big shows. The streets surrounding the venue do provide some street parking but I imagine for a big show parking may be an issue. 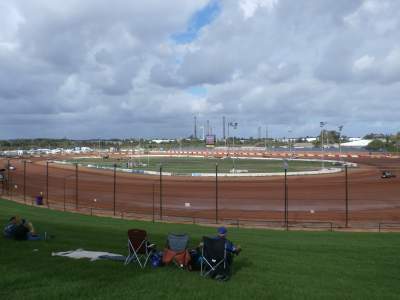 Premiere Meeting - During the Christmas/New Year period some of the top Sprintcar drivers from the USA come down under to join the best from the USC (Ultimate Sprintcar Series). They typically run 5-6 shows across this period. 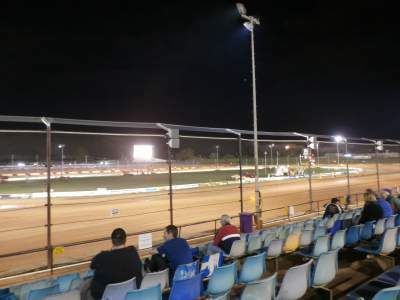 Given the strength of Australian Sprintcar Racing and the Ultimate Sprintcar Series these shows will be well worth attending. Also worth attending - Any round of the USC would be worth a look. 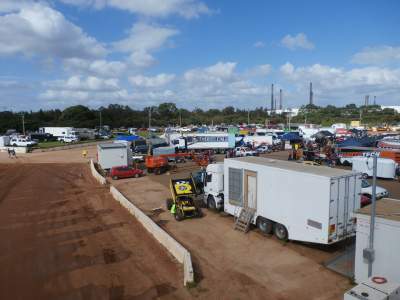 The Speedcars can put on a good show there. 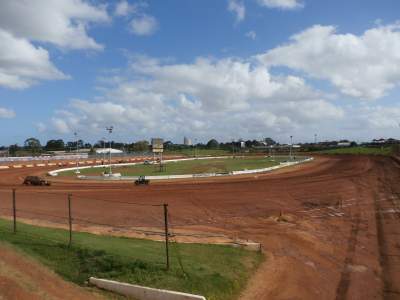 Perhaps the NSW Speedcar Title or any end of season Speedcar race. From memory this track does a Midget 50 lapper late in the year. 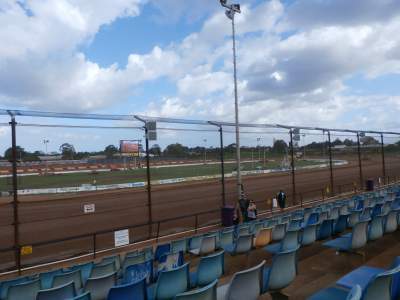 Best spot to sit - Sydney Speedway has excellent variety in it's seating. Bucket seats down the front straight are perhaps the most popular. Unlike many other stadiums the seats are of good size and legroom is more first class than economy. Grass embankment sits behind turns 1&2. Many of the locals take in chairs and sit in this area. Behind the back straight are some terraces, around 4 or so. If you're after a quieter experience this could be a good spot. 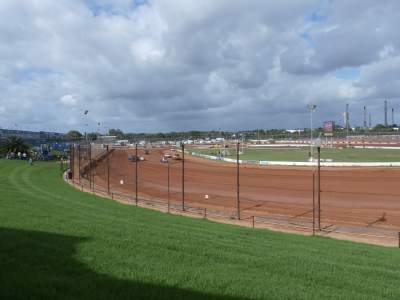 Uniqueness - Sydney Speedway is comparable with US tracks. At around 460 metres it's a decent pole line and the walls are well back from the confines of the race track. Given the right conditions, a cushion can build up to ledge like proportions which adds an additional aspect of excitement to proceedings. The pits are situated behind turns 3&4 which is ideal for a flowing meeting.